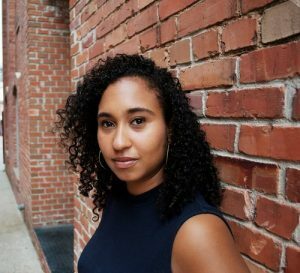 Naima Coster, Visiting Assistant Professor in the Creative Writing program, recently spoke to poet and essayist Carina del Valle Schorske in the Paris Review about her debut novel, Halsey Street. The piece is titled “Owning Brooklyn: An Interview with Naima Coster.” Read the full interview here. A quiet gut-punch of a debut, Coster’s novel is a family saga set against the landscape of gentrifying Brooklyn. After five years away in Pittsburgh—a city whose primary appeal is its distance from Brooklyn—Penelope Grand, former artist and current bartender, reluctantly returns to Bedford-Stuyvesant to care for her ailing and beloved father, Ralph, moving into a sublet a few streets away from her childhood home. But the neighborhood has changed in her absence: her landlords, the Harpers, new to the block from the West Village, embody the shift—a young family, white, wealthy, attracted to the “historic” homes and the lower price tags. And yet the Harpers’ charming yellow house—and the affections of the charming father—offer Penelope an escape from the life she’s returned to. At least for a while. But when a postcard from her estranged mother, Mirella, shows up addressed to her from the Dominican Republic (Penelope isn’t the only one in her family desperate for escape), Penelope is forced to deal with a past she’d rather ignore. Alternating between Penelope’s perspective and Mirella’s, moving seamlessly back and forth in time, Coster pieces together the story of the Grand family: Mirella and Ralph’s early courtship and the first days of their marriage in Brooklyn, Ralph’s iconic record store and the accident that followed its closing, Penelope’s miserable freshman year at the Rhode Island School of Design, her childhood trips with Mirella to the DR, and now—in the present—their final chance at something like reconciliation. Gorgeous and painfully unsentimental, the book resists easy moralizing: everyone is wonderful and terrible, equal parts disappointed and disappointing. The plot is simple, relatively speaking, but Coster is a masterful observer of family dynamics: her characters, to a one, are wonderfully complex and consistently surprising. Absorbing and alive, the kind of novel that swallows you whole. 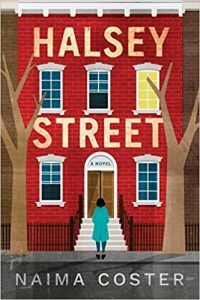 You can find more information about Coster and Halsey Street on her website.